The closing reception for "Inspired Geometries" is on a Sunday, and the gallery is just a few steps from the Fremont Sunday Market. I was there last week. My first find was 20 bucks, on the street, which I spent on flowers. 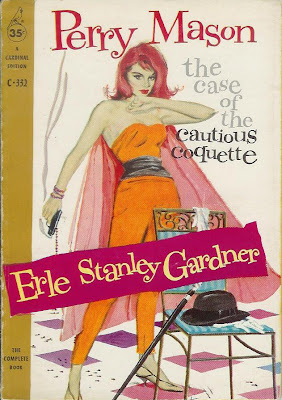 My next find was an Yves Klein-blue scarf (my favorite blue) for $5, followed by a vintage Perry Mason paperback with a cover illustration of a bare-shouldered brunette peeking from behind a pink curtain. $3. Life in the laundro lane.